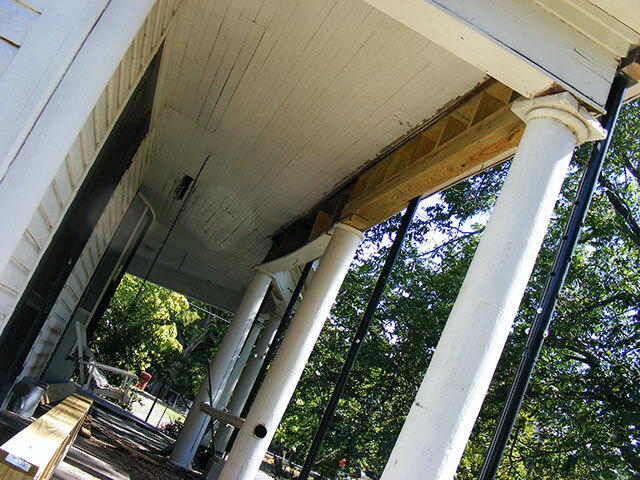 So, last weekend I built and installed the first replacement box beam holding up my front porch. This weekend I started on the next segment. 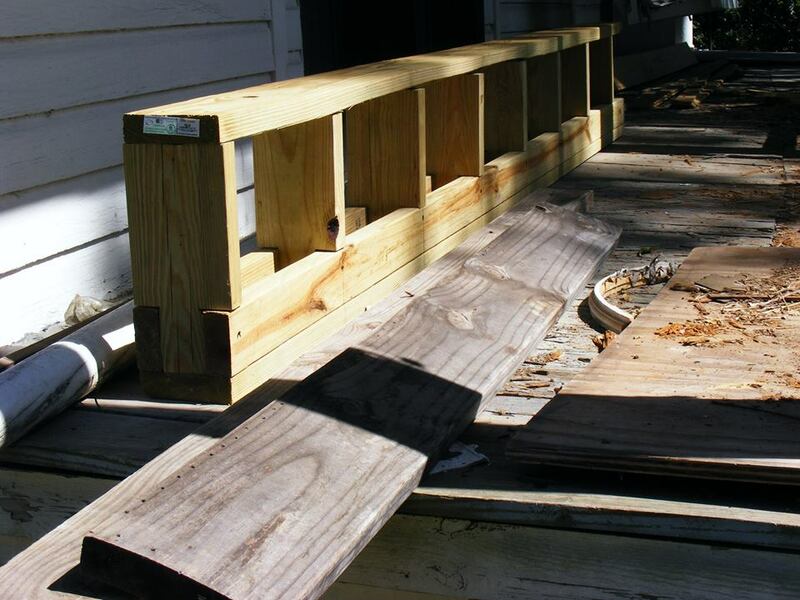 This required a couple more jack posts and some fiddling around to get the weight safely off the entire 20 foot section of porch. I chose to do the entire section as when I get the upper structure repaired, then I move on to the lower structure and column replacement and that will be easier to do in one “batch” for the straight section. I will tackle the curved section separately. Currently the weight is completely off the first three columns. 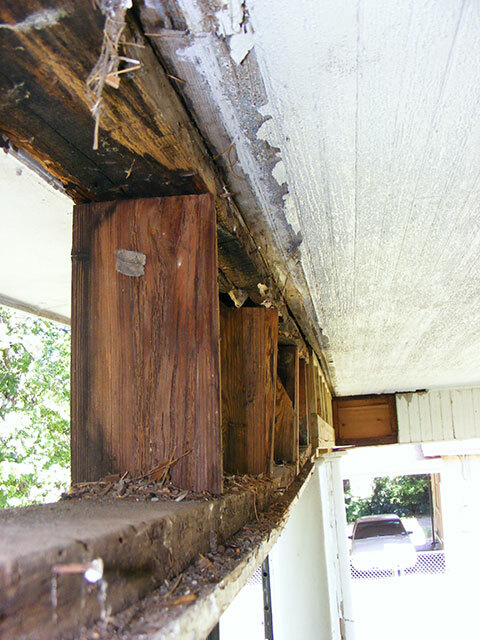 This damage is due to the bane of many of this era house…box gutters. That’s a gutter that was inserted into the roof so it wasn’t visible. 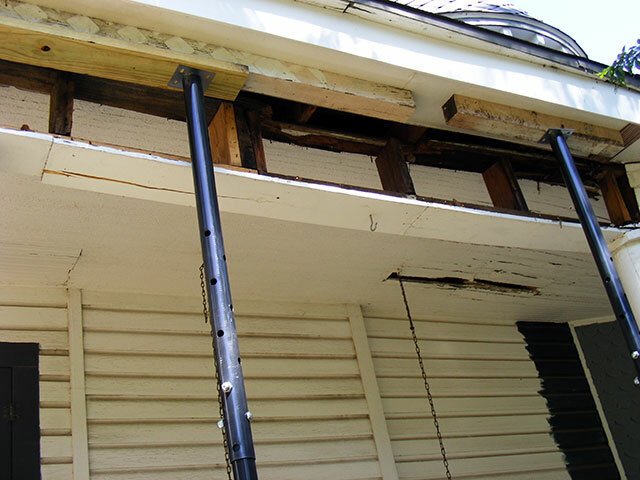 They fail, or leak, or overflow and the water goes into the eaves/structure. This damage is directly under where the box gutters used to be in this house. 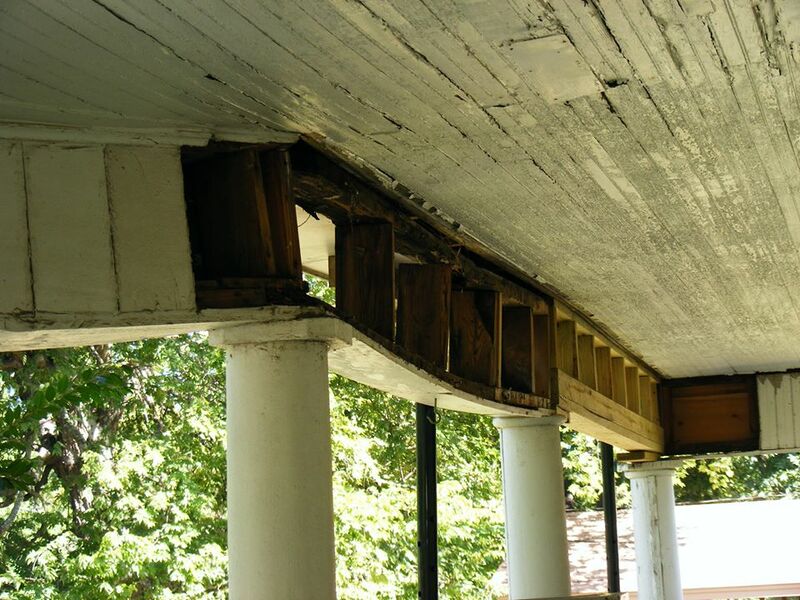 Some repair was done in the past…namely there are a couple bad rafters that have been repaired, but the work on the box beams was just of the “cover it up” variety. The box gutters have been removed and roofed over on our home, so this will never be an issue again. There is no weight left on this, all is held safely by the jack-posts. It’s starting to come together. 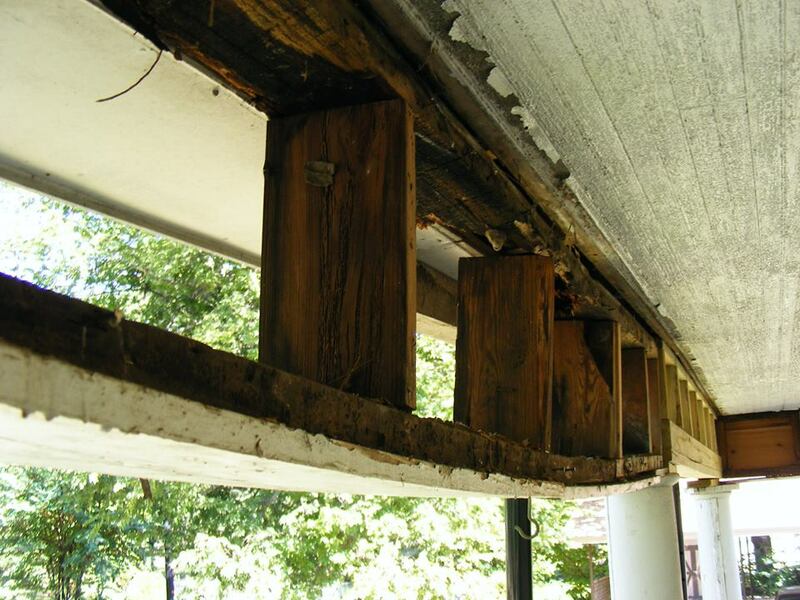 First beam segment is square and attached to the rafters and the edge beam of the porch. It has pulled the rafters/roof line back into line nicely and with minimal effort. The new beam is ready to install. 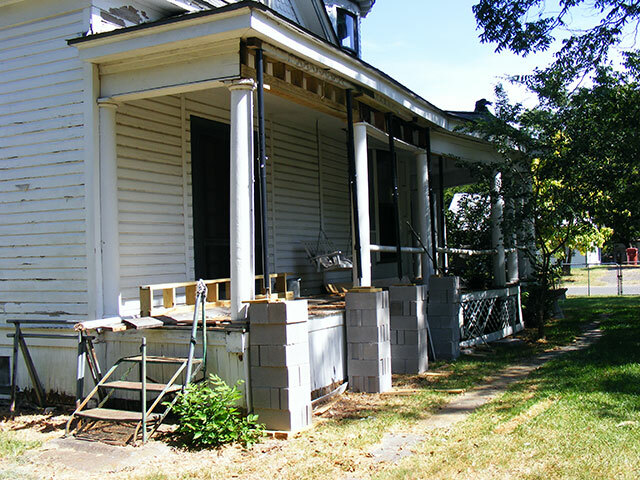 That’s next weekend’s project, as well as starting on the porch floor replacement. The thermometer indicated 104 degrees at this point…and despite frequent breaks, some shade, and plenty of water I’d had enough fun for the day. New Beam ready to install.